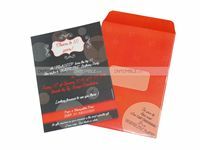 Custom invitations - Theme Party Supplies by Untumble ! 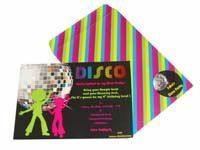 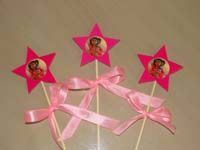 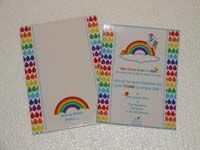 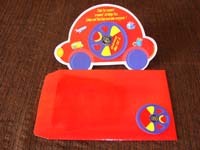 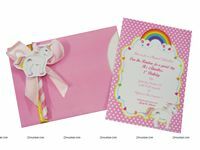 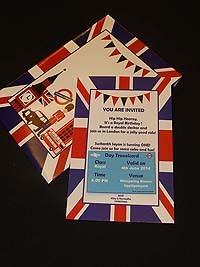 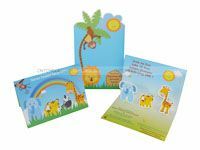 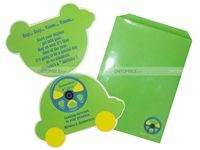 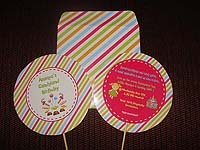 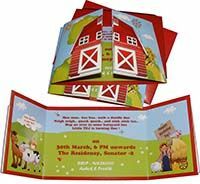 Description : Fully customized shaped invites with single or double side printing with printed or colored envelopes. 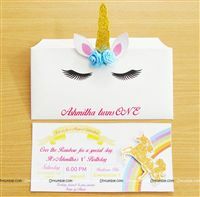 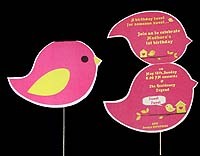 Customization : Shape of invite and printing on envelope can be customized. 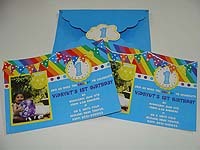 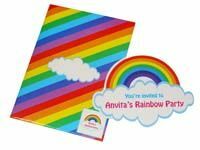 You can add your party date, kid's name, venue and all other details to the card. 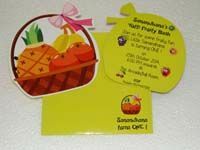 The details are printed on the card.